They made their way to the city of Karbala on Sunday and Monday of last week for the holy day of Arbaeen. The sheer amount of numbers at this celebration would have no doubt come as comforting mark of solidarity to the west, but it has gone largely unreported. 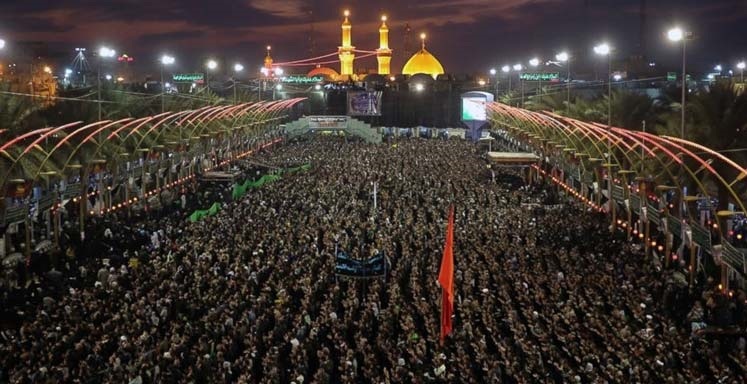 Arbaeen is the event which marks the end of the 40-day mourning period following Ashura, the religious ritual that commemorates the death of the Prophet Mohammad’s grandson Imam Hussein in 680 AD. The Independant has reported that the march was conducted even with the real threat of ISIS nearby, and tens of millions took part. The Shia Muslims taking part have been identified as apostates by ISIS and are under constant threat of attack. Another, Umm Ali, who's husband is currently fighting on the front line against ISIS said, “I came with my son and two daughters. I came from Samawa to Najaf by car, then from Najaf to Karbala on foot, to make a plea for my husband’s safety." This Muslim festival is one of largest in the world, and yet in repeatedly receives little to no media coverage in the West. Mohammed Al-Sharifi, a volunteer at last year’s event told the Independent. There are 1.6 billion Muslims in the world, and the very minute amount that are creating trouble see the greatest media coverage in a totally biased world. The media wants to prolong the culture of fear among citizens so that they and the government keep control of the power. A scared people is a vulnerable people, and the powers that be can control them all too easily.